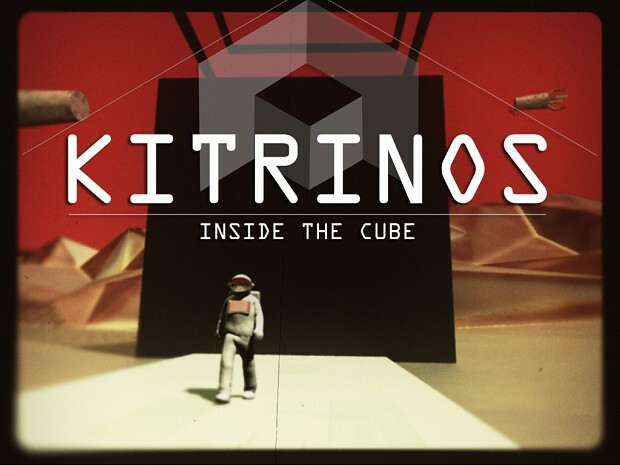 Kitrinos was developed during Adventure Jam 2018 by Simon Says: Play! and Yazorius. It takes place in a retro geometrical world, that can remind of old movies and polygonal games. We mainly created it in 2 weeks. It can remind of such games such as Myst and Zork. Kitrinos is a first-person #scifi adventure game set in the world of the Black Cube series (ASA, Catyph, Myha...). The gameplay is frame by frame (in prerendered 3D backgrounds) with 360° panoramic views in HD, and with many short cutscenes in animated video. The game was developed with the Clickteam Fusion engine. It is recommended to play it with a pen and paper to take notes and solve the puzzles. English and French Versions included.